The visual aspect of a website is vital for attracting the attention of visitors. An increasing number of people are asking the hired WordPress web development company or other agencies to create interfaces with immense visual appeal. In this article, we are providing information about how to add video background to WordPress websites in noble-friendly steps. Videos are much better attention-grabbing devices than images. They can be instrumental in pulling more and more people towards a website. Users are spoilt for choices and website owners must leave no stone unturned in trying to catch their eye. The functionality for adding background videos is not available out of the box in the open-source CMS. This does not mean that the feature cannot be introduced in WordPress interfaces. The first step is to select an appropriate source for the clip that will be used in the background. There are various services which provide stock content in different categories. Videos can be acquired for free as well as at a price. Services like ShutterStock and Dissolve have an extensive library of such content (video background) which must be explored by users. It will be better though if website owners use their own content. This will be helpful in creating a unique background. It will also be useful in effectively communicating the promotional strategy to the target audience. Many people like to take the content from video-sharing platforms like YouTube. This helps in saving valuable hosting resources as the clip is hosted on the video-sharing website. This is not a bad idea but they must be careful about infringing on copyrights. Not every clip uploaded on YouTube is available for commercial usage. It will be pertinent to check the rights and get in touch with the video’s owner before using it for the website. Moreover, users must upload their own content on the platform and use it as their interface’s background. Website owners must convert the selected clip into a proper video format. It must also be properly resized before being used in the project. Many people are ignorant of the importance of optimizing the video in such a manner. Owners must conduct thorough research about their target audience to assess their average internet connection speed. The chosen clip must be configured to a lower bitrate to enable it to load quickly irrespective of the speed. The file size can be reduced by shortening the duration or decreasing the bitrate of the video. It is vital that the quality of the clip is maintained while the file size is reduced. Just like a slow loading speed, a poor-quality video will harm the reputation of the interface. There are various converter and compression tools available which reduce the size without affecting the quality. The audio data of the clip can also be removed to minimize the size. 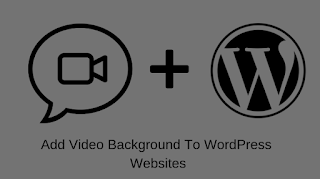 The next step of our guide to add video background to WordPress websites describes the process to add a player as well as the clip to the website. People who do not have much technical knowledge can use plugins for the purpose. The mb.YTPlayer for background videos is a well-known plugin which helps add YouTube videos. Easy Video Background WP is another powerful plugin which can be used to play video on pages through a shortcode. The following is the code for checking the compatibility of the browser and window resolution. Moreover, it also tests whether the device is an iPad or not. Let us now apply some styling to the markup. The above code sets the size of the container using CSS instead of allowing it to scale from either the <img> or <video> tag. This enables the browser to pull the page first instead of the image or video. Once all the code has been programmed, a responsive player will start playing. Irrespective of whether the clip was encoded manually or a plugin was used, some settings need to be configured. The autoplay setting must be enabled to allow the clip to play automatically when all necessary elements are loaded. The looping effect needs to look natural and therefore, proper starting and ending points must be set. Owners must also decide whether they want to use sound with the display or not. Videos are good tools for engaging people. This simple method to add video background to WordPress websites will help owners enhance the visual appeal of their interfaces and attract more traffic. Brandon Graves is a WordPress theme developer by profession and he works for a leading html to WordPress theme company – HireWPGeeks Ltd. 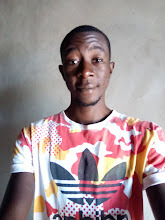 He uses to write useful tutorials on WordPress and socialize its different social media platforms.